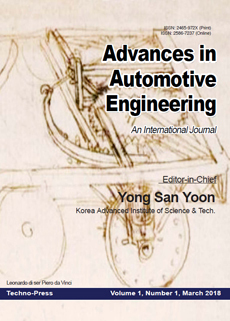 • Vehicles and components, • Design and analysis, • Manufacturing and recycling, • Vehicle dynamics, • Modeling simulation visualization, • Safety reliability, • Environmental impact, • Energy storing and retrieval, • Hybrid/Electric vehicle, • Human-vehicle system, • Navigation, Auto pilot, • Assistive technology, • Maintenance, • Vehicles and components test, • Other relevant topics. Volkswagen de Mexico, Tech. Develop.